Cubic Transportation Systems is celebrating a ten-year milestone since signing the Go Card contract in southeast Queensland. The contract, awarded in 2003, was a defining moment for Cubic as it was the first large-scale operating contract for the company. Cubic is responsible for Go Card’s ticketing systems operations and maintenance, the retail network, regional clearing and settlement, card management and customer services. Cubic Transportation Systems President Steve Shewmaker says the Go Card contract changed the way Cubic conducts business globally. "It was a landmark project for Cubic," Shewmaker says. 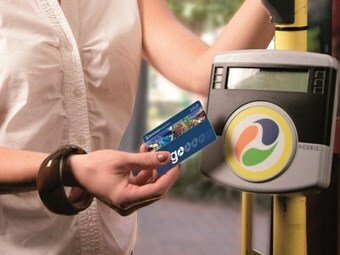 "Instead of simply delivering a ticketing system to our customers, the Go Card was our first experience of delivering and operating a full suite of managed services. "This has now become our business model and something we use across the world in places like London, Sydney, Vancouver, San Francisco and Chicago." Cubic Transportation Systems Australasia Managing Director Tom Walker says Cubic is delighted to be part of a smart card ticketing system that continues to go from strength to strength. "It is a remarkable achievement to have realized half-a-billion trips in five years, coupled with the distribution of three and a half million Go Cards during that period," Walker says. "The system’s operators, TransLink and the Queensland Government, should be congratulated for introducing some innovative programs to increase passenger numbers." The smart card now accounts for more than 90 per cent of all train trips and 83 per cent of all public transport trips network-wide. Walker said he was particularly proud the system was named the best smart card ticketing system in Australia by peak industry body, the Tourism & Transport Forum (TTF). "We have more than 100 staff based in Brisbane who work on the project, with many of them being involved from the start," he says. "They should all be proud to be part of Australia’s best ticketing system and for delivering a world-class operation to Queensland commuters each day."